Welcome back! We have updated the blog name to reflect the new mission of the group. 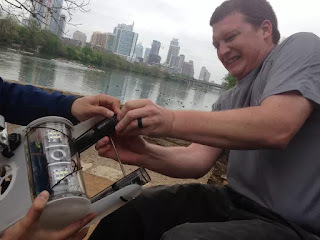 Just because we've moved on from our original goal of exploring Jacob's Well, our focus on doing citizen science and exploring with the OpenROV project is still alive and well. We're exploring a lot of interesting possibilities for underwater dives in the Austin area, including underwater ghost towns in the Highland Lakes chain, and are excited to start planning some of these expeditions out. We plan to continue blogging about both the technology challenges we encounter with the OpenROV platform as well as detailing any finds we make along the way. Thanks so much for reading the blog so far and we hope you continue to follow us on our underwater journeys.